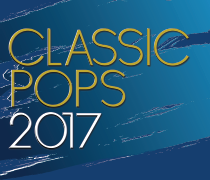 ORDER YOUR CLASSIC POPS 2017 DVD NOW! Once again Bishops have appointed JUST SHOOT ME DIGITAL to produce a high quality DVD that captures the energetic vibe of this amazing event. To ensure you don’t miss out, please place an order now to receive your copy of this DVD. The cost of this DVD is R360.00 incl. NB In order for us to track your order, please reference as follows: LEARNER’S NAME/HOUSE and EVENT in full e.g. JOE BLOGGS/HOUSE/CLASSIC POPS. For enquiries, please contact Peter Mann on 0836955175, or e-mail peter@jsmdigital.co.za.